Jazzmyn RED took the Massachusetts music scene by storm in 2017 with the release of her debut album “Writing HERstory”. The project came out in January of ‘17 (on MLK Day) and has been responsible for the Brockton artist receiving numerous prestigious accolades over the last couple years, namely the 2018 Hip-Hop Act of the Year at the New England Music Awards. These awards and co-signs have gained the attention of Vanyaland, The Source, Hip Hop DX, The Word Is Bond, Hip Hop Since 1987, Ok Tho, and Respect Mag. This year, she went on an 18-city, eight-state tour that included a performance at South by Southwest. In her travels, she’s managed to share a stage with KRS-One, Jadakiss, Cassidy, Joe Budden, Fred da Godson, and more. After spending some time building her brand and reaping the benefits of her hard work, Jazzmyn RED is back to making music. On October 30th she dropped her new single “You Said”, her first release since “Writing HERstory”. In an era of repetitive lyrics over two-minute trap beats, her music never lacks a message. It’s only fitting that Tupac Shakur and Lauryn Hill are two of her biggest influences. But out of all the important subjects covered on “Writing HERstory”, Jazzmyn had yet to make a relationship song. 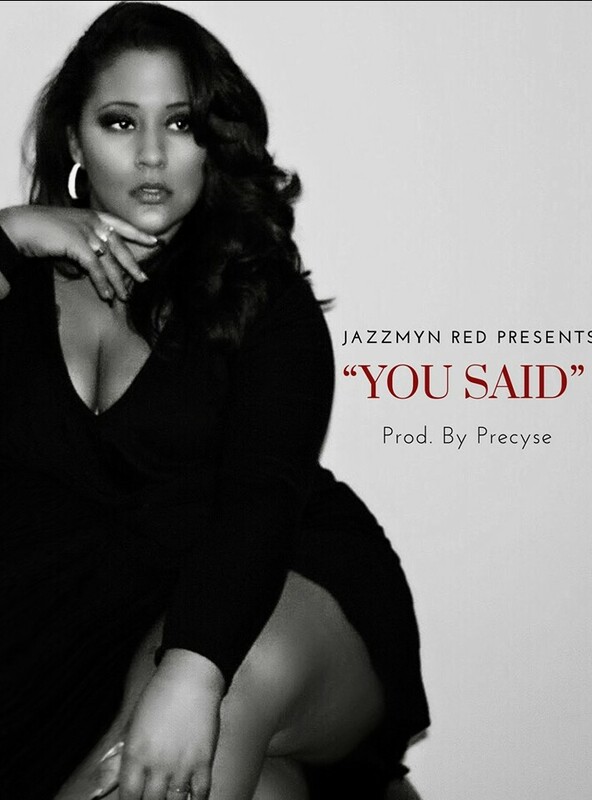 “You Said” is her first attempt, and it doesn’t disappoint. It’s not a sappy love song, but rather a glimpse at the pain that relationships can cause when your love for your partner isn’t reciprocated. They might claim to love you, but they continuously exhibit behavior that suggests otherwise. Lying, cheating, etc. “Relationships can hurt and I wanted to give people a song they could really just sing their heart out to. Sing that pain away, tell them what they did,” she told Vanyaland. She should have said “sing and rap their heart out” though, because she does both exceptionally well on this track. When she’s not pursuing her dream as a musician, Jazzmyn RED is spreading her message of positivity as a Program Manager for Big Brothers Big Sisters of Massachusetts Bay Boston, a teacher, a mentor, and a social justice advocate. She received her Bachelor of Arts Degree in Communication and Africana Studies in 2015 and has traveled to Tanzania, Africa to work with children at the United African Alliance Community Center in Arusha. Follow Jazzmyn RED on social media to keep up with her journey, which includes a recent beef with 50 Cent regarding her “Positive Vibes Only” merchandise. Now we just need Curtis to listen to her music.